Please consult the publications listed below for details on the derivation and applications of BiG-AMP. J. T. Parker, P. Schniter, "Bilinear Generalized Approximate Message Passing (BiG-AMP) for Matrix Completion," Nov. 2012, presented at the Asilomar Conference on Signals, Systems, and Computers, (Pacific Grove, CA). 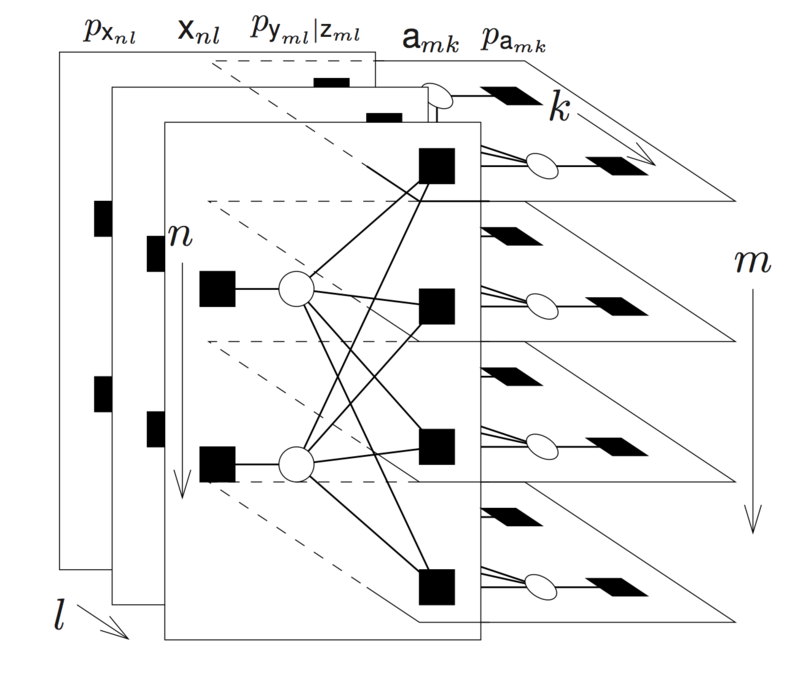 P. Schniter, J. T. Parker, and V. Cevher, "Bilinear Generalized Approximate Message Passing (BiG-AMP) for Matrix Recovery Problems," Feb. 2012, presented at the Information Theory and Applications Workshop, (La Jolla, CA). P. Schniter and V. Cevher, "Apprixmate Message Passing for Bilinear Models," in Proceedings of the Workshop on Signal Processing and Adaptive Sparse Structured Representations (SPARS), Edinburgh, Scotland, Jun. 2011, p. 68.